How did the Hubble Space Telescope get into space? The Hubble Space Telescope was carried into orbit by the space shuttle in April 1990. 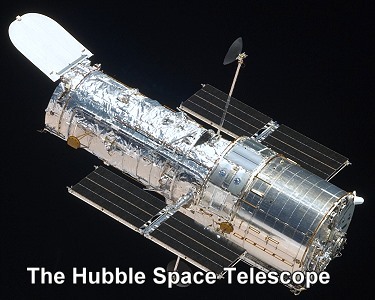 Why is it called the Hubble Space Telescope? The Hubble Space Telescope named after the American astronomer Edwin Hubble (1889-1953) who discovered the expansion of the universe. How big is the Hubble Space Telescope? How high in the sky does the Hubble telescope orbit? ANZAC Day is when Australia and New Zealand honour members of their World War I soldiers. ANZAC means Australian and New Zealand Army Corps. The world joining together in the fight to wipe out malaria on the African continent. Malaria kills more than a million people per year; 90 percent of those who die are African children. Although it is a preventable and treatable disease, poverty in Africa makes it a huge killer. Every 30 seconds in Africa a child dies of malaria. Penguins are seen in the wild in the Southern Hemisphere. They are not all native to Antarctica. Some have resettled in more tropical climes, such as South Africa and the Galapagos Islands.